Richard Coles and Anita Anand are joined by historian Bettany Hughes, John McCarthy goes to Durham to see the Lindisfarne Gospels, and we revel in the sound of a Spitfire's engine. Richard Coles and Anita Anand are joined by historian and broadcaster, Bettany Hughes who talks about her love of history, cricket and Istanbul, Dr Robert Poole who explains what happened on September 14th 1752 when Britain changed from a Julian calendar to a Gregorian calendar and Jess Herman who tells us about her work with Nicaraguan street children. They also hear a 'Sound Sculpture' of a Spitfire's Merlin engine described by Britain's only female Spitfire pilot Carolyn Grace, explore Andrew Johnston's attic in 'The Thing About Me' where he discovers pictorial maps by his Uncle MacDonald 'Max' Gill, listen to the 'Inheritance Tracks' of former SAS soldier Chris Ryan and travel to Durham with John McCarthy to see the Lindisfarne Gospels in a major exhibition at Durham University's Palace Green Library. 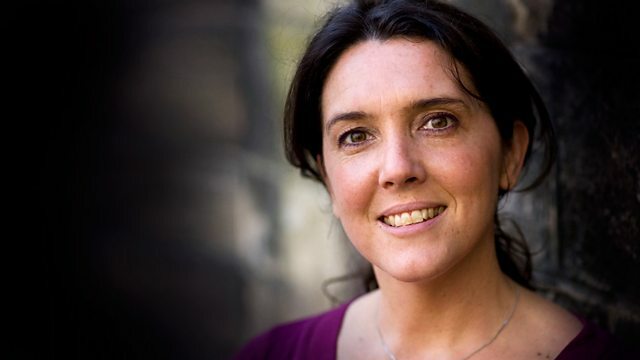 Bettany Hughes is a historian, teacher, writer and broadcaster. Her new BBC R4 series, The Ideas That Make Us, starts on Monday 16th September. Carolyn Grace owns and flies the Grace Spitfire. She talks about the plane and the sound of the Merlin engine. Find out more about the Grace Spitfire. Former SAS soldier turned author Chris Ryan chooses his Inheritance Tracks and explains how his young daughter helped him through his ordeal in the first Gulf War. Robert Poole is a historian and writer specialising in Britain in the long eighteenth century and currently working on the Peterloo massacre of 1819. He has also written books on the Lancashire witches, and on the first views of Earth from space. He is actively interested in public history and has lectured, spoken and broadcast in Britain and abroad. He talks about Britain’s move from the Julian to the Gregorian calendar which happened on Sept 14th 1752. John McCarthy travels to Durham to see the Lindisfarne Gospels, on loan from the British Library for 3 months and on display as the centre piece of a major exhibition at Durham University’s Palace Green Library. Jess Herman talks about her time teaching circus skills to street children in Nicaragua. Andrew Johnston is the nephew of little known Max Gill- the brother of artist and sculptor Eric Gill. He inherited the cottage Max lived in and discovered lots of Max’s artistic maps all over the house - maps commissioned by The London Underground for use as promotional posters - and many other organisations. STUDIO PHOTO :: RICHARD, BETTANY HUGHES, JESS HERMAN AND ANITA. Huge excitement in the parish this week with two great events coinciding on the same day. Saturday sees not only the climax of the Flower Festival, which is up there with Christmas and Easter in the church diary, but also the decisive match of the season at the cricket club over the way, when plucky Finedon (pop 4,500) takes on mighty Peterborough (pop 185,000). The village will be packed, the parking a nightmare, but the footfall promises a run on the raffle and the prospect of shifting a lot of Teas. This good fortune presents its own challenges, because the ladies, and it is ladies, who produce the Teas for the church are also the ladies who produce the Teas for the cricket club. Do we have enough urns? Will butterfly cakes bilocate? Is there enough egg and cress to feed the five thousand? I have every faith in their resourcefulness, and I wonder if they have in mine, for I too will be multi tasking, talking to people coming to church to see the flower displays (this year’s theme ‘Best of British’ and including floral interpretations of both James Bond and Harry Potter), but also showing up at the cricket where I would like to think my priestly presence confers good fortune on the home team. Alas, the statistics do not bear this out for I only have to appear on the boundary and our batting collapses, our fielders drop the easiest catches. This is tricky because if we beat Peterborough we win the League. If Finedon Dolben Cricket Club is to be acclaimed Giant Slayer then I need to at least time my arrival carefully. Either way there’s an upside. The Cricket Club is one of the prettiest in England, its spreading green outfield ringed by trees, our handsome spire rising behind them. It is a view that makes you want to eat fish paste sandwiches, sing Jerusalem, do a jigsaw, go to a Flower Festival, and people do, during lulls in the match, or if Game Over comes early. Win or lose, there will always be Tea - Best of British. We have some Best of British on this week’s programme too. Our Sound Sculpture is the thrilling roar of the Spitfire’s Merlin engine, its praises sung by, we think, the only female Spitfire pilot in the world. John McCarthy goes to Durham to see one of our great national treasures, the Lindisfarne Gospels, revisiting the City on loan from the British Museum. We encounter too Max Gill, the less-well-known brother of Eric Gill, architect, artist and mapmaker; and we hear the Inheritance Tracks of the Chris Ryan, author of thrillers for adults and teenagers, and veteran of the SAS’s Bravo Two Zero patrol. All these will be put into context by our studio guest historian Bettany Hughes, biographer of Socrates, champion of ancient cultic priestesses and prophetesses, and co-presenter with Michael Buerk on ITV’s Britain’s Secret Treasures. Do join Anita Anand and me this Saturday morning just after nine.